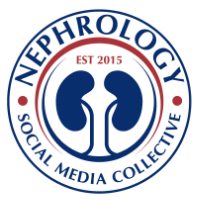 Nephron Power: TOPIC DISCUSSION: What about BUN - and when its too low? TOPIC DISCUSSION: What about BUN - and when its too low? Not many studies have looked at causes of low urea nitrogen production. Besides malnutrition, there are certain other conditions that might be very likely to have noted low BUN levels. A study done in 1989 looked at causes of BUN less than 50mg/dl. ( in their lab 50-200mg/dl) was normal. If we analyze what they found: Alcohol abuse is usually associated with low solute intake and mal nutrition and hence again leading to that as the cause. IVF and special diets can be understood. The endocrine disorders they found were SIADH, hyper and hypothyroidism due to water excess leading to low BUN. The steroids use ( usually thought to be cause increased BUN), was thought to decrease BUN due to water retention per the authors.